New Delhi: Government of India is satisfied with the progress of the Project Tiger and has released Rs 966 crore total to the States in the last four years as funding assistance. India has 70% of the global tiger population which increased from 1411 in 2006 to 2226 in 2014. The increase is because of technical financial inputs being provided under the project ‘Save Tiger’. Minister of State for Environment, Forest and Climate Change Dr. Mahesh Sharma provided the information in Rajya Sabha on March 12, 2018 in a reply to a question raised by RS MP Shri Parimal Nathwani. According to the statement tabled in the house, Funding assistance has been provided to tiger range States under the Centrally Sponsored Scheme of Project Tiger (CSS-PT). The government released Rs.175.02 crores 2014-15, Rs.154.85 crores in 2015-16, Rs.342.25 crores in 2016-17 and Rs.294.09 crores in 2017-18 (Till February, 2018), said the statement. Mr. Nathwani wanted to know about the amount of funds sanctioned/released under the project ‘Save Tiger’ and State-wise details about the population of the tigers, and increase witnessed during last Three Censuses and increase expected in the ongoing census. Tigers are found in 18 States of India as per the Tiger Census 2014. Tigers are present in Palamu reserves in the State of Jharkhand. The central government has released Rs.9 crore under Project Tiger for the State, said the statement. According to the statement of the minister, the highest 776 tigers were found in Western Ghats Landscape Complex which comprises Karnataka, Kerala, Tamil Nadu and Goa. Central Indian Landscape Complex and Eastern Ghats Landscape Complex comprising Andhra Pradesh (Including Telangana), Chhattisgarh, Madhya Pradesh, Maharashtra, Odisha, Rajasthan and Jharkhand house 688 tigers, as per the Tiger Census 2014. 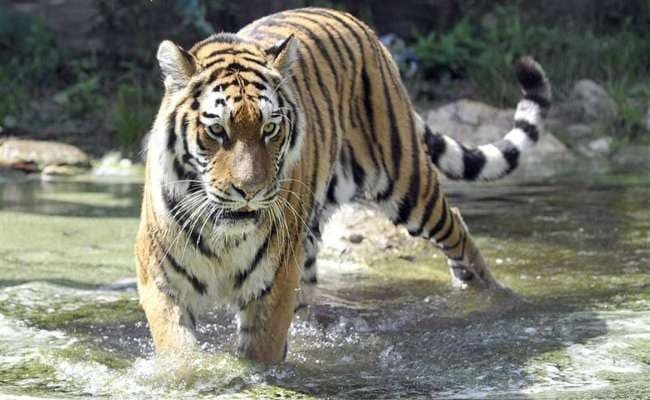 State-wise, Karnataka leads with 406 tigers followed by Uttarakhand with 340 tigers and Madhya Pradesh with 308 tigers, said the statement of the minister.